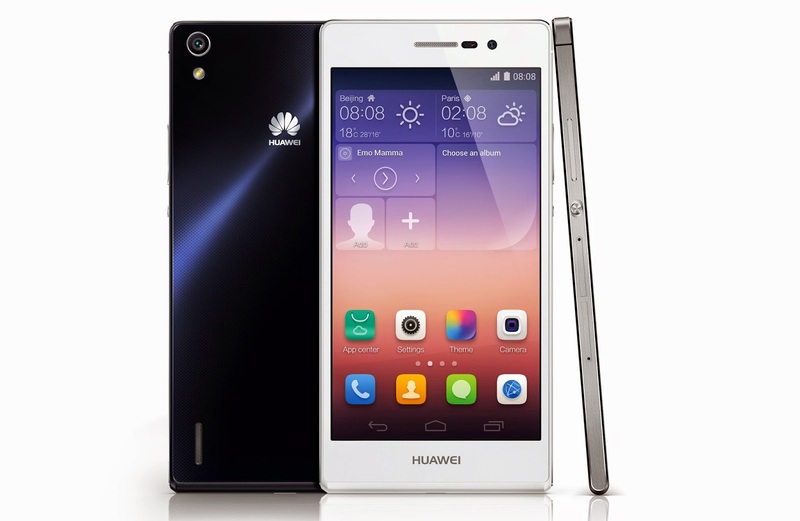 Huawei Ascend P7-"Excellence with Edge" is the upgrade model of its previous Ascend P6 model comes with more extraordinary features. 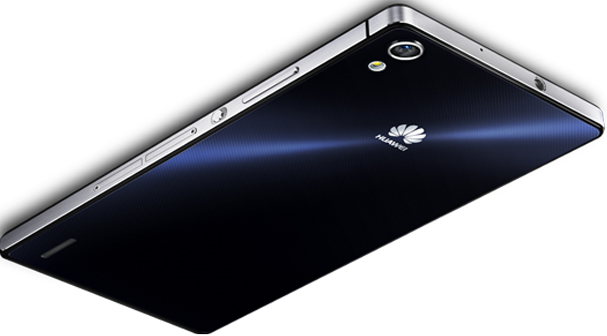 Huawei Ascend P7 back side is made with a 7-layer surface treatment it means Huawei used micro-pattern design and no one use this technology before in a smartphones.Through Micro-pattern process smartphones body look more transparent and look stunningly beautiful in your hands. 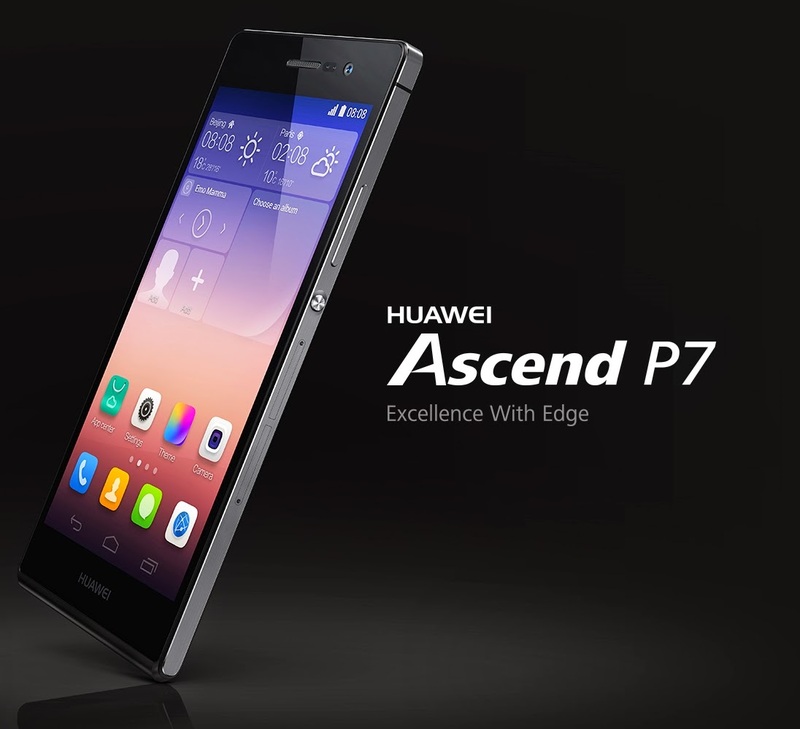 New Ascend P7 is more slim as compare to Huawei other smartphones whenever you keep Ascend P7 in your hands you can feel the differences. Huawei this time redefines everything like Power button and place it in the middle of the smartphone’s chassis for user conveniences.And if we are talking about bottom side of Ascend P7 it looks like someone drops the water, and it spreading on a glass which makes it more natural and fluid design. Ascend P7 has both 3G-HSDPA and 4G-LTE Networks for better Connectivity and you can switch between Networks anytime. Android OS, version 4.4.2-KitKat, 1.6 GHz Quad-Core Processor, 16 GB built-in Memory, 2 GB RAM, microSD card-supports up to 32 GB, 5.0 inches Screen with 1080 x 1920 pixels resolution, Sensor Features: Accelerometer, gyro, proximity, compass, temperature and Display Colors: PS LCD capacitive touchscreen, 16 Millions colors, Multitouch, 4G, 3G, Bluetooth version 3.0 with A2DP, LE, USB, WLAN, GPRS, EDGE. 13 Mega-Pixel with 4160 x 3120 pixels camera Features: autofocus, LED Flash, Geo-tagging, HDR, Video, (1080 p @ 30fps), face and smile detection, photosensitive f/2.0(Ultra Snapshot) aperture 5-piece ISP lens and BSI sensor, which is originally design for Digital cameras and give you rich pictures at night or indoors. 8 Mega-Pixel with BSI and 5-piece of aspherical lens, Glass infrared sensor, Features: Panorama Selfie, Take Your Snaps without other help. Watermarking, Audio Tagging, Camera Filters. Ultra Power Saving Mode, Smart Power Saving Mode, Thermal Gel Cooling System, Pre-Loaded Phone Manager through which you manages your Phone like Storage Cleaner, Do Not Disturb, Startup Manager and perform many other tasks, GPS + A-GPS, GLONASS.